Over the next two weeks, we'll be featuring a great assortment of delectable flavors from around the country. The independent music coming out all over the place is taking the music world by storm. In our first hour, we'll showcase new musical tastes from One Sad Horse, Phoenix, Runaway Dorothy, Kathleen Edwards and more. 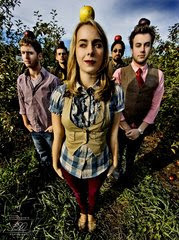 Plus, we'll spend a little time getting to know a new Appetizer artist, Hannah and the Bloodlines. This group out of Boston has a new debut album called "Far From The Tree." We'll hear some of their music and speak with lead singer Hannah Sumner.